Domaine de Ferrand, like many producers in the Southern Rhone Valley is a relative new winery. That is because prior to 1995, the majority of their wine was sold in bulk to negociants. However, the property is rather old, as it can be dated all the way back to at least 1760. 200 years later, Charles Bravay officially founded the domaine. The domaine is located in Orange, which is to the north of Chateauneuf du Pape. 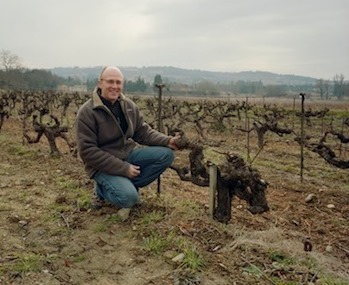 Things quickly changed at Domaine de Ferrand when Philippe Bravay took over the responsibilities of managing the estate. It was under the direction of Philippe Bravay that they began producing, bottling and selling their own wine. Domaine de Ferrand owns 5.5 hectares of vines in the Chateauneuf du Pape appellation. Most of their vineyards are well placed in the cooler terroir in the northern part of the appellation. They have plantings located in the Cabrieres and La Gardiole lieux-dits, which is where they have their oldest vines. Some of their really old vines are more than 100 years of age. Their terroir is mostly clay, limestone and rock littered soils. Domaine de Ferrand also owns 10 hectares of vines in the Cotes du Rhone appellation that are used to produce red wine. The best vintages of Domaine de Ferrand are: 2016, 2015, 2012, 2010, 2009, 2007, 2005, 2003, 2001, 2000 and 1998. Domaine de Ferrand makes 1 red Chateauneuf du Pape wine. Domaine de Ferrand Chateauneuf du Pape is made from mostly Grenache, which takes up to about 90% of the blend. The remainder of the blend is made from varying amounts of Cinsault, Mourvedre and Syrah. The grapes are partially destemmed. Vinification takes place in a combination of concrete vats and stainless steel tanks. The traditionally made wine is aged in concrete tanks for between 12 to 14 months before bottling. The annual production is close to 1,250 cases of wine per vintage. Domaine de Ferrand can be decanted for about 1-2 hours, give or take. This allows the wine to soften and open its perfume. Older vintages might need very little decanting, just enough to remove the sediment. Domaine de Ferrand is usually better with 3-7 years of bottle age. Of course that can vary slightly, depending on the vintage. In the best vintages the wine should be consumed within 5-15 years after the vintage. Domaine de Ferrand is best served at 15.5 degrees Celsius, 60 degrees Fahrenheit. The cool, almost cellar temperature gives the wine more freshness and lift. Domaine de Ferrand is best served with all types of classic meat dishes, veal, pork, beef, lamb, duck, game, roast chicken, roasted, braised, stewed dishes, sausage, barbecue and cassoulet. Domaine de Ferrand is also good with Asian dishes, hearty fish courses like tuna, mushrooms pasta, eggplant, tomatoes and cheese. The white wine of Domaine de Ferrand is best served with a myriad of different seafood dishes, shellfish, crab, lobster, sushi, sashimi, chicken, pork and veal, as well as Asian cuisine. 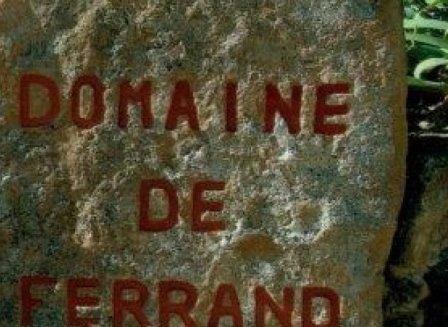 Domaine de Ferrand produces wines from vines they own in the Cotes du Rhone and in the Cotes du Rhone Villages appellations: Cuvee Antique, Cuvee Antique Vieilles Vignes, Cuvee des Demoiselles and Cuvee la Ferrande. Full bodied, lush, rich, ripe, round and fresh, the peppery, sweet, red fruits offer sweetness, purity, character and length. The wine was made from blending 90% Grenache, 8% Syrah and 2% Mourvedre. Soft and approachable, medium bodied and fresh, the red cherry notes show a nice sense of purity and freshness. Obviously young, but this is such a great style of wine, who cares? Lushly textured, with supple layers of sweet, ripe, juicy kirsch, black raspberry, wet earth, spice and garrigue. The wine is long, concentrated and fresh. Drink it now, if you like your Grenache young, or age it for secondary character and more softness. Even better than the 2009, this super wine has it all. The fruit is fabulous. It's ripe, sweet and fresh, with layers of cherries, black raspberries and kirsch. The texture is pure lushness. The wine is balanced, rich and like all great Southern Rhone wines, you can enjoy it now, or age it for more of a secondary, evolved experience. There is no touch of heat, this is just pure Chateauneuf pleasure. Really nice wine, with loads of juicy ripe, kirsch flavors, olives and herbs, rich, seductive textures and a fresh, sweet, peppery cherry finish. Vibrant ruby in color, the wine pops with aromatics of kirsch, jam, charcoal, licorice and pepper. Richly textured, the sweet, fresh, strawberry, and black raspberry notes are pure and precise. Expressive, lively and supple, this is really singing at the top of its lungs today. This is a super wine in a really nice style.